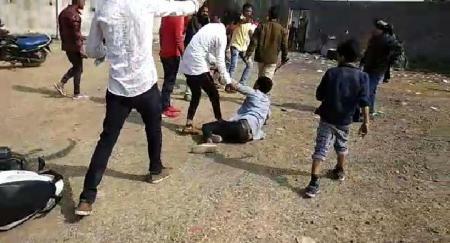 The clash that erupted on Republic Day between the youths of two communities over playing a Bollywood song in Khujner town of Eastern MP’s Rajgarh district has taken an ugly turn. 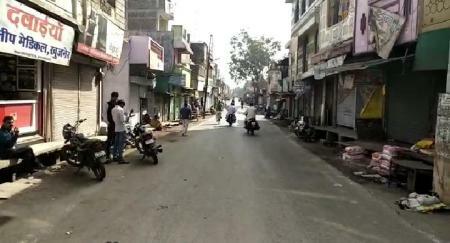 Since last four days, the district has remained shut; Section 144 has been imposed by the district administration in various pockets of the district. Sixteen people including four school students were booked under various sections of the IPC, while markets were closed following the violence. 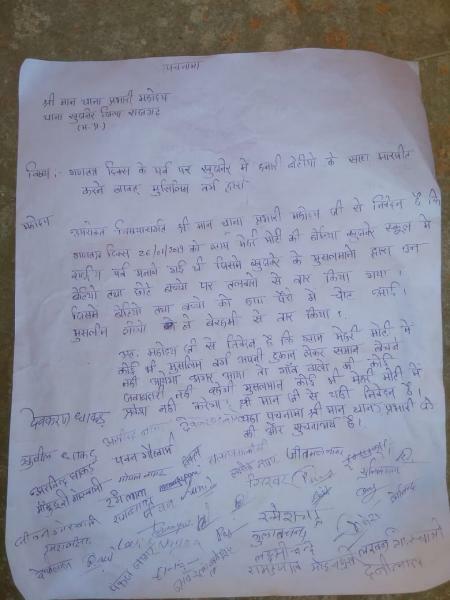 Locals has been purportedly submitting these letters to the local police stations following a communal clash in Khujner town during a Republic Day event — the first such incident under the new Congress regime. “Muslims should not enter our village. We won’t promise their safety. Our children are so scared after what happened on Republic Day, and they are refusing to go to school,” said Sunil Dhkard, 40, and Gulabchand, 43, from Mehuri Mote village. The two were referring to the clash which occurred on January 26, when hundreds of students from private and government schools in the area assembled at Manglik Bhavan, a community hall in Khujner, for the event organised by the local body. Khujner has been a stronghold of the BJP since last two decades. But in the previous assembly election, the BJP had lost the Rajgarh seat to the Congress. Eyeing the imminent general election, and to win the locals’ trust, the BJP seems to have seized this opportunity, and has hijacked the entire incident. 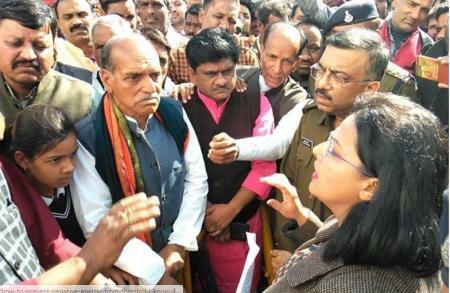 The following day, former Rajgarh BJP MLA Amar Singh and former BJP Minister Badrilal Yadav protested at the district collector’s office, and handed over a memorandum demanding a sedation case against the youth who allegedly raised anti-national slogans, and withdrawal of false charges against the youths of majority community, who were “trying to control the situation”. All of this, however, has only added to the simmering tension. According to the police, the clash was the fallout of a brawl between two groups seated at the back of the hall. One group alleged in its complaint that the other had objected to the slogan “Pakistan Murdabad” in an item based on the Hindi movie “Gadar”. The other side claimed that the fight was the result of an “old enmity” between two local residents, Samad and Sopan Yadav. “Apart from the ‘panchnama’ (representation) from Limboda and Mehuri Mote village, we have received similar ultimatums from residents in a few other villages. Everybody is free to work anywhere and the Constitution does not allow such bans. No one can be prevented from engaging in business activity or entering any place on grounds of religion,” Rajkumar Raghuvanshi, in-charge, Khujner Police Station, said. According to the police, the incident occurred in the premises of Manglik Bhawan near Khujner Bus stand on January 26, when a youth objected to a song from film Gadar: Ek Prem Katha to the tune of which students and youths were dancing. As per the news reports published in the local newspapers, after the objection to the song by a youth, students tried to convince him, but, soon, the conversation turned into a heated argument and later into a violence. The violence led to the injury of a dozen people including four school students. Taking action against the rioters on the day of incident, police booked Kala Khan Seth, Sameer, Abrar, Ayyub, Shakir, Imtiyaz Khan, Sameer under section 294 (singing, reciting or uttering any obscene song, ballad or words, in or near any public place), 323(voluntarily causing hurt), 147 (rioting), 148 (rioting, armed with deadly weapon), 149 (unlawful assembly for common object), 506 (criminal intimidation), 427 (Mischief causing damage to the amount of fifty rupees) of the Indian Penal Code, while Kamal Yadav, Sopan Yadav, Kapil Yadav, Ankit Yadav, Kamal Bhanot, Banti Yadav, Hariom Yadav were booked under section 147 (rioting), 294 (singing, reciting or uttering any obscene song, ballad or words, in or near any public place), 323 (voluntarily causing hurt) and 506 (criminal intimidation) of the IPC. 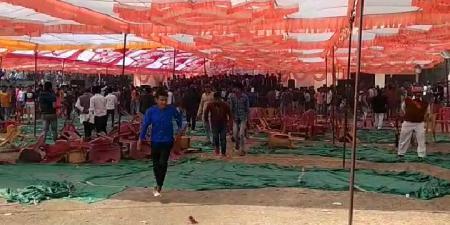 While group claims that the clash was triggered by “provocative remarks” from a section attending the event involving around 25 schools, the other side says it was sparked by a fight between two men based on a previous personal dispute. Initially, Khujner police had lodged FIRs against 16 persons, including members of rival sides, mainly on charges of rioting. But the communal faultlines have widened after six men — Samad Khan, Sakir Khan, Abrar Khan, Zakir Khan, Imtiaz Khan and Shameer Khan — were arrested and sedition charges (124) including 153 (Wantonly giving provocation with intent to cause riot), 25 (Arms Act) and section 2 of National Honour Act 2003 imposed following a memorandum submitted on Monday by BJP leaders, including Pankaj Sharma, the local body president, and former MLA Amar Singh Yadav, Shameer Khan was later granted bail. Commenting over the incident, community leader Aziz Maula claimed that “Muslim youths have been framed”. “Despite claims about Muslims having brandished arms, no one has submitted any proof, like photographs or videos. Our children, too, attended the event, and are as scared as the others. We have also received reports that Muslim vendors were being turned away from many villages,” he said.